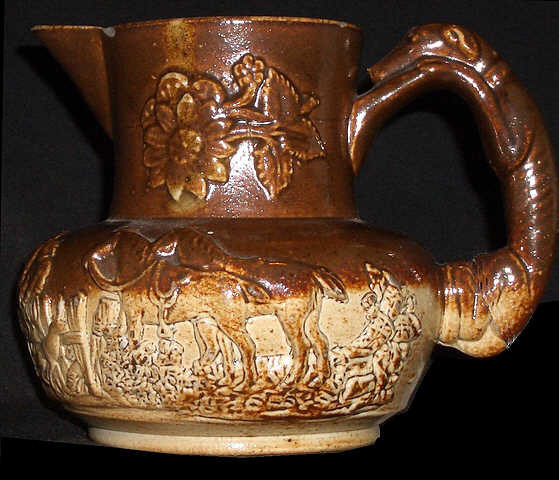 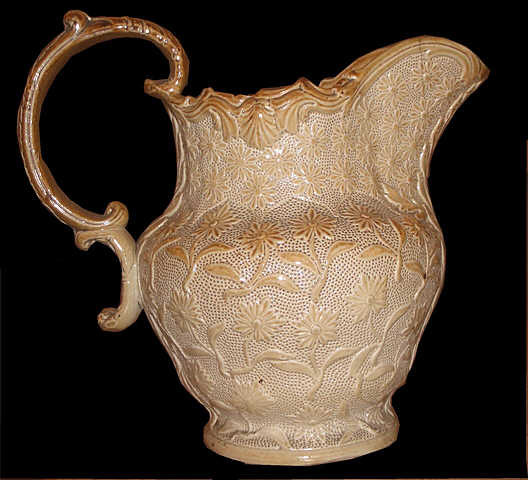 The Brampton / Chesterfield potteries produced wares with a variety of glazed finishes. 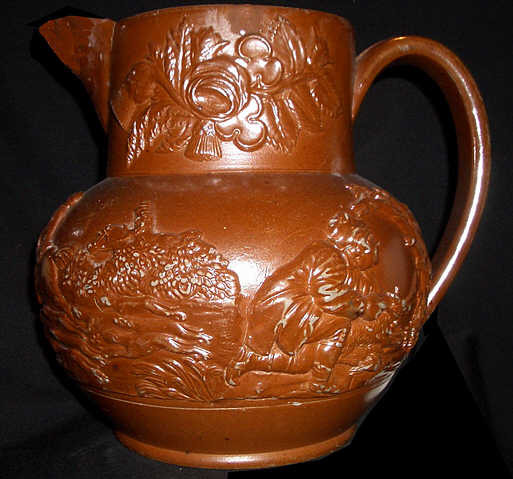 These vary from the light uniform honey coloured salt glaze typical of Briddon to a dark brown similar to that used by the earlier Nottinghamshire Potteries. 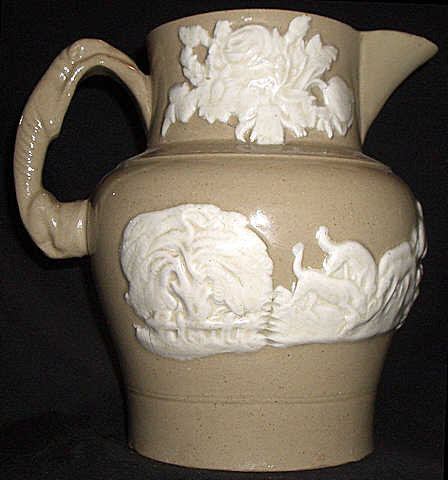 There are also examples of typical two toned salt glaze and a light body with white sprigs that first seems to appear at the very end of the 19th century.